Learn to create compelling multimedia content over lunch, using nothing more than your smartphone or tablet. Think it’s impossible or too difficult? Think again. In ASBPE’s three-part webcast series on multimedia storytelling, you’ll learn how from Sarah Redohl, managing editor of Columbia Business Times, an Azbee Award-winning publication that won the 2014 Gold Award for visual storytelling. In the first of this three-part series, you will learn best practices for mobile photography, elements of photo-based storytelling and photo composition, as well as recommended apps and hardware for the iPad. Please click here to view the webcast. You will need to be logged into your ASBPE account. In the second of this three-part series, you will learn elements of audio storytelling, best practices for collecting high-quality audio and how to create an audio slideshow to share online, as well as recommended apps and hardware for the iPad. In the final installment of this three-part series, you will learn best practices of video storytelling; how to capture high-quality video footage, including how to shoot video interviews and cinematic sequences; and how to edit and share your videos from your mobile device. 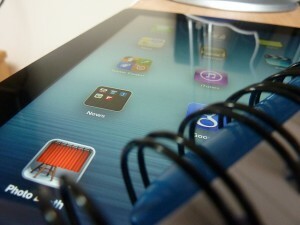 You will also leave with a list of recommended apps and hardware for the iPad. Sarah Redohl is the editor of the 10-time award winning monthly business magazine, the Columbia Business Times, based in Columbia, Missouri. 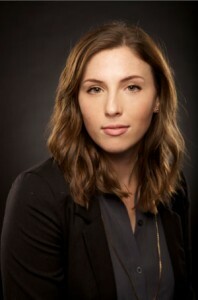 She also teaches multimedia journalism at her alma mater, the Missouri School of Journalism. After years working on the utilization of mobile devices as multimedia creation tools in newsrooms, Redohl founded StoryLab LLC, a multimedia training and consulting firm, in 2014. Previously, she has worked on projects for the Travel Channel, NPR and the U.S. Department of State, among others. In 2013, she was selected as one of Folio: Magazine’s 15 Under 30 young professionals driving media’s next-gen innovation.